My sister made some banana cupcakes today. I’m going to post her recipe today. They were very tasty. A muffin/cupcake mix on the texture. 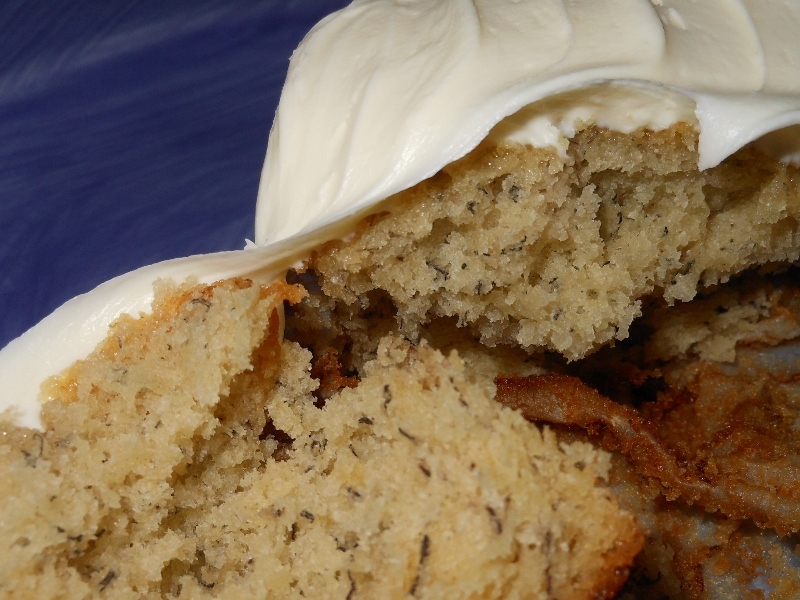 Great banana flavor and the sour cream added fantastic richness. 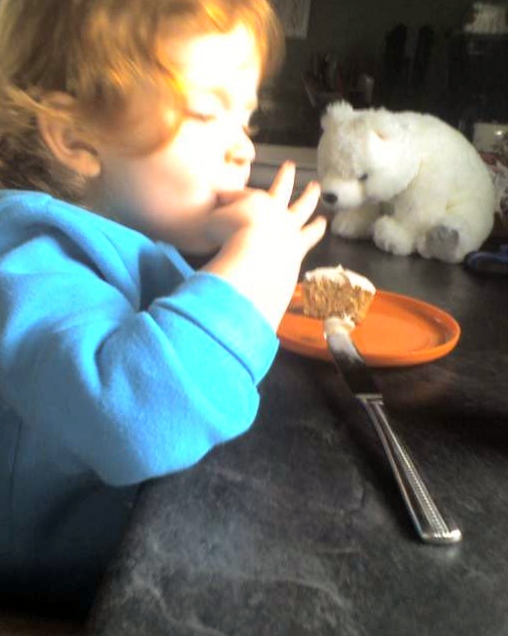 Here is the recipe as she made it; they have been kid tested and approved! In large bowl cream shortening and sugar. Mix in eggs, vanilla, mashed bananas, and sour cream. Combine flour, baking powder, and soda. Stir into banana mixture. Heat oven to 350 degrees. Line 18 – 24 muffin tins with liners. Fill 2/3 full; bake 18-20 minutes or until toothpick inserted in center come out clean. 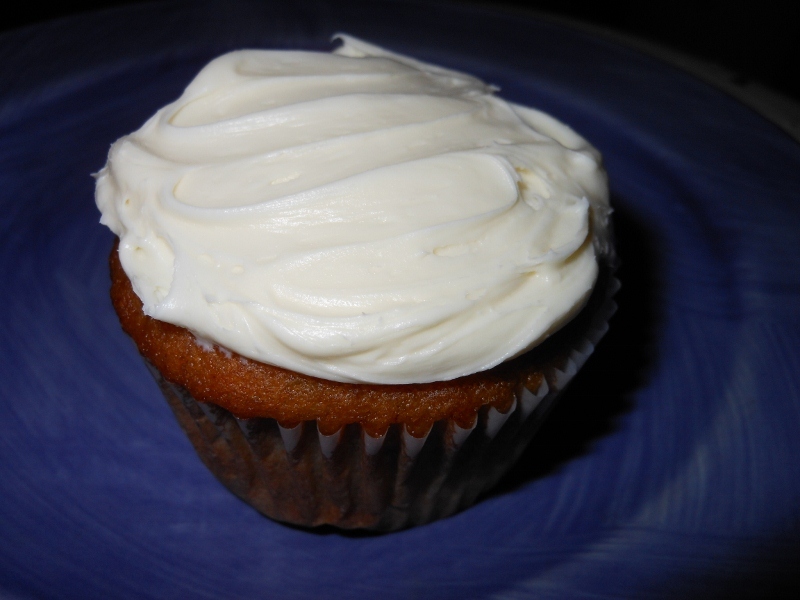 Cool and ice with vanilla or cream cheese icing if desired.